I am now loading your main page to check out all your stuff. I was first attracted by ExLight, and now that I’ve seen some more of your stuff I will be a fan a long time. Even though I am having a small problem installing ExLight, for some reason when I click the Install Now button from the Live desktop, I get a blank error message that the installer quit. That’s it, just that it quit, any ideas? I am trying to install to partition E:, which is located on a USB external HDD, which my computer considers a permanent HDD. I have used 3 different programs to put the .iso on a thumb drive all with the same result. Every time the live version loads and runs great, but as soon as I click the install icon, the install immediately fails, with no error, just error box that has all the boxes filled with the word “Null” or an empty box. I was attracted to your work because I wanted a distro that had more than one desktop option, while maintaining a pure desktop environment. All of the distro’s Iooked at that had multiple DE’s, that all are installed on top of each other, you open Gnome, and use KDE applications. I wanted something that didn’t combine DE’s, but stayed true to their original spirit. I also wanted to get away from the same distro everyone is using, Ubuntu is so big, and so generic, I wanted something with a soul, and I have found that in your work, I’m not letting a few problems deter me. I should have said I have been running Ubuntu/Kubuntu, and Zorin from this drive at the same time for the last year and a half, so I know it’s possible to run from it. You shouldn’t have any problems to install ExLight. Log in as root. Open up a terminal and start the installation program with the command ubiquity. Any errror messages? Note that you in advance (just in case) should create a partition of at least 6 GB for ExLight and a SWAP space double the size of your computer’s RAM. I.e. if you have RAM of 1024 MB or less. If you have RAM of 2 GB or more it’s enough with a SWAP space of 2 GB. The installation program in ExLight/Ubuntu is otherwise “intuitive”. Choose manual partitioning and select the partition you created in advance for installation. As a long standing Slackware user, I usually use ‘dd’ to do my iso to dvd burning. Not just because its my initials, but because is has a simple interface that allows me to use ‘kill’ for something other than stopping programmes. You should run isohybrid (part of syslinux) on the ISO before you publish it. 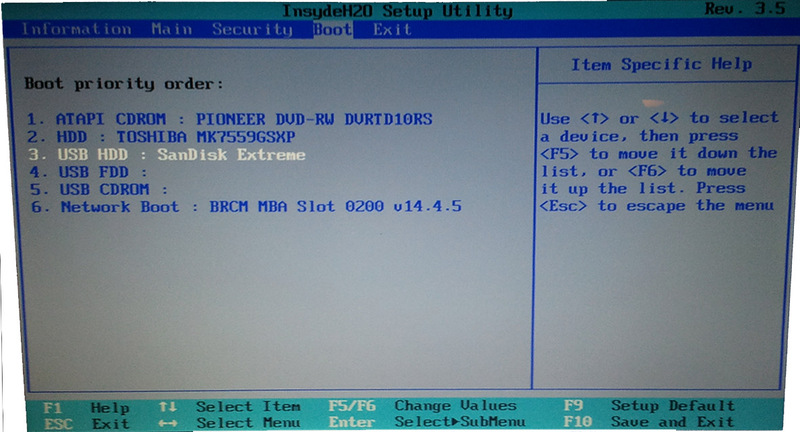 I had to do that before I could boot the ISO loaded onto a USB flash drive (copied with dd). Yes, that’s true. I forget that sometimes. Which ISO?